Oh that dreaded word, budgeting! It’s one of those words that brings up uncomfortable feelings such as lack, restriction, doing without. It’s incredible the power one little word has. In addition, we have visions of paper and pencils and calculators and spreadsheet…my head starts to hurt as I am writing it. Actually, I am a huge fan of budgeting. I just don’t use that word. For the reasons cited above. 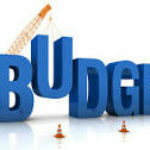 Dictionary.com defined the word “budget” as: an estimate, often itemized, of expected income and expense for a given period in the future. Does that help alleviate the stress of the word? Probably not. That’s why I prefer the term “Spending Plan”. Ah…let that phrase site with you for a moment. 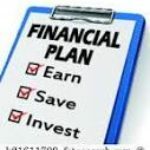 A spending plan is just that, it is a plan on how you will spend your money each month. As with all plans they are not iron clad, meaning things can, and often will, change. However, starting with a plan is the first step to success. Much like everything else in life. Let’s say you are going on a trip. Do you jump in the car and just start driving? Maybe. But arguably planning your route beforehand will eliminate some frustrations, or perhaps get your to your destination faster or more safely. What if you hit construction? You revisit your plan, change your route. Sometimes, the trip just goes exactly as planned. (Really? Does that actually EVER happen?). Let’s say you want to eat healthier. Do you just start with what you have in your cupboards? Probably not, you likely do some research, or join a group or subscribe to some sort of eating plan (notice I didn’t say Diet…same reason I avoid the word budget), and plan what you are going to eat, making a shopping list, planning your meals etc. I could go on and use several other analogies, like working out, starting a career, etc., but I think you get the point. A spending plan is simply a plan of where you want your hard-earned dollars to go. It is you making the decisions, you deciding what is important, you taking steps to ensure you have money for what is important to you, such as vacations, owning a home, raising a family. Versus flying by the seat of your pants, paycheque to paycheque, watching all of your income go towards the more mundane expenses like power, phone, cable, internet, groceries, gas. You know, all that stuff we need to have in our lives. I try to make spending plans simple, for myself and for my clients. In my blog, The 3-Step Simple Spending Plan, I break it down into three easy categories. Bills and Automatic payments, savings and occasional expenses and spending. Dividing your money into these three categories can make the spending plan simple and effective and forgo the need for spreadsheets, ledgers and the like. The best approach is to try a system. See if it works. If it does, great, stick to it! If it doesn’t, don’t give up, try another system. Find the one that works for you. There is no cookie-cutter solution, no one-size fits all, and you need to discover what works for your particular circumstance. The resources out there are endless. From online resources to professionals with your best interest at heart (Why Licensed Insolvency Trustees are the best choice for you), there is no shortage of information.